The "Supreme Source" of All love and light... the guiding intelligence and wisdom that moves behind All life... the "Spirit" that is above and beyond the limitations of our human self... the "Higher Power" that can restore us to an awareness of our original innocence... this is "Grace". whomever or whatever else we wish to call it or them... is not as important as the depths of our heart felt call for help. If we are sincere, "Grace" (in one form or another) will respond. Source hears all our prayers, knows our innermost heart, mind, desires, needs, and everything else in between way before we are even remotely conscious of them. Source sends beings (incarnate or in spirit) to help us in whatever way is in our highest and best good. And even though (in the near or distant past) we have judged, denied or even persecuted those who are sent, let us now hold the attitude of gratitude and thanks to whomever shows up. Let us now be open and willing to surrender control of our life and our healing process over to Grace. Prayer is like turning on a light in the darkness. The brighter the light, the greater the chance someone will see and respond. Prayer is like making a phone call. The more clear the connection, the easier someone can hear and respond. Regardless of how bright a light or clear our connection, there is always someone in spirit who is on the other end of our prayer call - be it our own Higher Self, Ministering Angels, Masters or Spirit Guides. When we are praying (i.e. "communing" with Spirit) we are communicating with these beings, and they in turn can respond back to us in subtle or not so subtle ways (ways that we may or may not be aware of). The laws of physics states that for every action there is an equal and opposite reaction. Metaphysically, this translates to mean that whatever energy, thought, feeling or act we send or "project" out, the universe and the Spirits residing in that universe... will respond and "mirror" back to us in kind. When and in what specific way the universe and Spirit responds is another matter, but respond it will. Answers to our prayers may come instantaneously or life times later, but it will come to pass.. and in its own time (not at the convenience of ours). Needless to say, when one works with the power of prayer, great patience is required. The "secret" behind the power of prayer is to have the belief, faith and trust that we are already “at one" with the object of our desire. If what we are asking for is in agreement, aligned or in harmony with the “Divine Will” (as in “Not my will but Thy will be done”), then Spirit will move Heaven and Earth to make that prayer happen. There are many answers, many truths. and hear the voice of truth resonate in the depths of our heart. a feeling, sensation, word, song, message or dream. an animal, thing or coincidental event. Try not to judge the form or package an answer or truth comes. As you go deeper in your asking, you will receive deeper answers in return. If you do not readily receive the answers you seek, do not be discouraged. There may be many blocks and interference patterns (accumulated over many lifetimes) lodged in the channels that lead into your heart and mind. The good news is that the more healings you receive, the clearer you will become and the easier it will be to go inside. From there you will know what to do... then do it. It’s that simple. It is not enough to know the truth - one must act to make it real. Spirit has never stopped speaking to us... it is only we who have stopped listening. If we refuse (or are unable) to listen (and don't follow up on what guidance is provided), we can’t very well blame Spirit (or God) for the bad things that happen.. or when the good things promised do not come to pass. If we know something and don’t act on it, that knowledge may turn into frustration and anger. Spirit does not want to give us any more reasons to be frustrated and angry (we all have enough as it is). Thus, Spirit will only share with us those truths it knows we can handle and respond to in any given moment. Truth (as in "guidance to act") is given to help accelerate us on our spiritual path. However, if we ask for help yet continually refuse to act on what is given, Spirit will get the message and stop telling us what to do (that is, until we are ready to listen again). (if you really want to be left alone, Spirit shall accommodate and step back). Spirit is not going to send you more assignments, spiritual gifts or new learning opportunities if you can't handle the ones you have been given and are working on now. You will only get from Spirit what you are ready for in any given moment. The more you act on what you know, the more you will be challenged or tested in greater and greater ways... but these are opportunities for you, not punishments. The more you take on and move through these so called “tests”, the more your soul will grow. It is my wish that through this healing work you may more clearly hear and know Spirit, but it is up to you to act upon what messages or inspirations you receive. Within the Kingdom of God there are many Spirits whose great work may directly or indirectly involve humanity. These Spirits may know nothing about healing... or just bits and pieces... a few know much more, but none know it all. Even the most high, knowledgeable and powerful must at times call upon other sources for help for No One Being can hold the vast amount of wisdom, knowledge and power of All that Is. With that said, it doesn't matter who in spirit does the work with you, only that the Divine Agenda for your life is advanced and you get healed. Just like we have specific unique roles in our worldly life, so to do all the beings in spirit. The multi-verse is an infinite space of possibilities and creations – this world and those on it are just a small part of that whole. For such an immense space, amongst all spirits, there is bound to be specialization. Thankfully, there is always someone in Spirit (either as an individual or as a group consciousness) who has the knowledge and abilities to assist us with our worldly and spiritual affairs. "When two or more are gathered"
When someone says they are "healing themselves" they are not taking into account all the Angels, Guides and Masters who anonymously and invisibly intervene in our lives in ways we cannot fathom or imagine. It is (more often than not) they who actually do the healing work on us. The only manner in which we "heal ourselves" is by being open, willing and humble enough to ask and receive from spirit. Most who seek to regain or reconnect with the experience of their original innocent self, tend to rely on their own efforts. Yes, personal effort has its place, but it also has its limits. Our being is sorely constrained by the limitations of all the boxes we have placed ourselves into, and the intricate webs of karma we have woven around us (of which we cannot easily extricate ourselves from). In other words our own creations (as extensions of our selves) bind us. Who then do we call for help... and if help came, would we be able to recognize that help for what it was? but all life, be it hidden or revealed, spiritual or material. Spirit sends help to us all in the most modest of packages - through each other. Consciously and willingly working with another human being (such as with a healer) may be the best way to develop and exercise the quality of humbleness, counteracting the arrogance of the ego-mind that says "I need nothing from anyone" or "I can heal myself". The major reason why most souls are limited in how much they can grow spiritually is due to the judgmental ego-mind that shuts the door to so many opportunities to receive. To reject the assistance of Spirit because the human “package” it comes in does not meet with your egos approval, severely narrows your options for healing (and ultimate "salvation"). Fortunately, the Divine Plan takes into account (has factored in) all our countless limiting conditions and can work with or around them. We are constantly given numerous opportunities for healing, made possible through "Grace" - the ongoing efforts of our often times anonymous and invisible Spirit allies - our Angels, Guides, Masters... and of course, from the God Source itself. Every human soul has their own unique connections to Source and the Spirit World. For some, these connections are more clear and strong, which allows the soul to have a greater ability to see (inner sight/insight), heal, provide guidance, and so on. In my own life, these are the many visionaries, healers and teachers I have been blessed to know and work with. These souls have in turn, helped clear and open me up even further to be a better spiritual energetic bridge builder and channel for others. 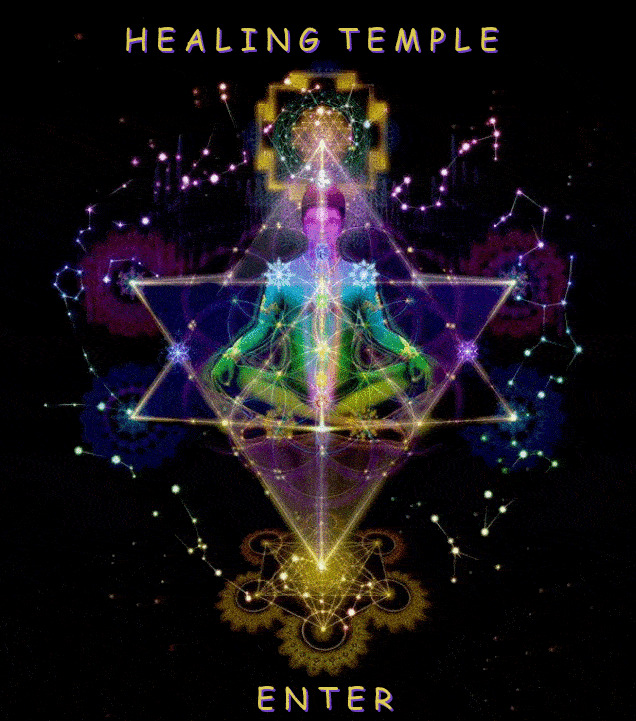 Though healings are primarily done by my own Higher Self, many other beings (in addition to your own spirit guides, angels and masters) may be called in to assist with the treatments (some of my clients have seen my own spirit being working side by side with many well known masters, including, for my Christian friends, Jesus). No matter what your religious faith or belief system is (or isn't), during the work, you are ALWAYS in safe and capable hands. No matter what is experienced, there is never any need to be worried or afraid - you are being well taken care of. If you still hold doubts about me or this work, feel free to pray in your own way and voice to your Angels, Masters, or God for guidance, blessing and protection. I am here to provide you with the best healing services (of this kind) possible. Creator would not allow or empower me to do this work if it was not so. raise us from the denseness of the earth. and toward Thee alone do we aspire. give sustenance to our bodies, hearts and souls. Thy grace, Thy glory, Thy wisdom, Thy joy and Thy peace. in a loving mother, in a kind father, in an innocent child, in a helpful friend, in an inspiring teacher. and we look for Thy blessing in the future, O Messenger, Christ, Nabi, the Rassoul of God! as the light filleth the crescent moon. in the parenthood of God. heal my body, heart and soul. that we may think, act and speak harmoniously. that we may be contented and thankful for thy bountiful gifts. that amidst our worldly strife, we may enjoy thy bliss. that we may endure all, tolerate all, in the thought of thy grace and mercy. and in thy light, all darkness may vanish. may all unite in one family.